A trailer makes a promise. It says what you see here is a game in development. What you see here is a version of our final product. What you see here will dictate whether or not you will purchase our title. The slow zoom from the eye, the girl falling from the hotel window, the shattered glass like tears, the melancholic music, largo, being played at a snail’s pace or a zombie’s pace, and the reversal of time: death, screaming, blood and love. This is the Dead Island trailer that made its debut in February. What you see is an emotional trailer that brought tears to my eyes. Do I want to play the game now? Maybe, but you have to ask why? Is emotionally gripping storytelling a selling point? Was the trailer designed to do that? What lies behind the viral hype? If a video game trailer makes a promise, does it have to keep to it? Should we, as gamers, put our scepticism over our excitement? This leads us to a few questions about the trailer. How does a video game achieve this level of emotional content? How does a video game about zombies evoke tears from its viewers? How can a medium meant to entertain and excite also make us feel fear and pity? Ever since watching the Gears of War trilogy of trailers – Mad World, Last Day and Ashes to Ashes – I have been enamoured by the art of the video game trailer. It is meant, in part, to sell the viewer a product. The trailer can also be a work of art. A series of short films directed by Neil Blomkamp for Halo affirmed this for me. But as gamers we can be either passive or active in our understanding of them. The latter is where this article is going. The Dead Island trailer has been met with a certain amount of scepticism. Game developer Deep Silver (S.T.A.L.K.E.R. Clear Sky for the PC and Cursed Mountain for the Wii) says that the game will be one part Fallout 3 and another part first-person zombie shooter. It’s the story of the expansive Capital wasteland with a focus on visceral, hand-to-hand combat. From what’s been discovered through previews, Dead Island feels like another zombie game. In 2007, when the first images of the game were released, it looked little more than a tech demo displaying the layer effects of bones and flesh on its zombies. The first trailer posted was a 30 second clip that said little more than this game is scary. Now in 2011, we’re seeing something quite different. To begin analyzing a trailer you have to ask, what is it trying to say? In Dead Island’s case, the message has been met with some controversy. 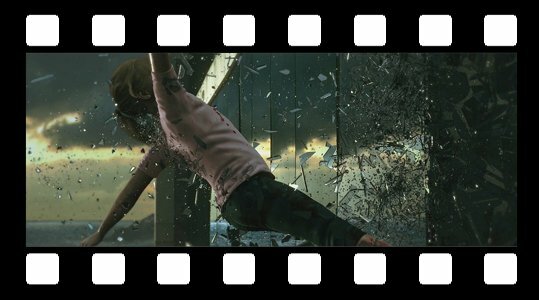 The image of the deceased girl, seeing her being attacked by zombies and witnessing her defenestration, for some viewers it’s too much to witness this kind of imagery. Death is one thing – personally having seen thousands upon thousand of virtual characters die – witnessing a child’s death is something else. Should video games, however, be limited in what they can show? No, no, definitely not. A certain amount of tact has to be used when creating works of art. There can be no doubt in that. Did Dead Island cross the line? Maybe, but the trailer is designed to evoke something called Pathos. Pathos is the appeal to emotion in a work of art or a piece of literature. It’s also part of a larger concept of ethos, or the work’s overall authority on its viewer. The emotional content of the game, the family and the girl, take view and slams them into a brutal reality. The zombie apocalypse is happening. The trailer along with several other zombie films and novels put this apocalyptic scenario into perspective for me. As zombie culture has evolved so too has our appreciation for them. The idea of a zombie apocalypse has become a terrifying possibility rather than a mere fantasy adventure. We’ve all played the games and seen the films, zombies are scary. They’re mindless incarnations of death. They’re rotten, irrational, and violent. They lust after the living. Like death, they stop at nothing. They stop at nothing to kill the family shown in the trailer. This is how the viewer is brought into the experience. We feel a terrified empathy for them. What else do we see in the trailer? We see the family before and after the zombie apocalypse. We see them enjoying life and now having to struggle together in the wake of this disaster. We see them die one by one. The family orientation brings the viewer into focus. We think: what if my family was in this position? Would I go out the door to attack a zombie horde to save my daughter? This is pathos. Before we continue on, I suggest you take a look at the trailer and a few of its accompanying remixes. Now back to the idea of pathos. 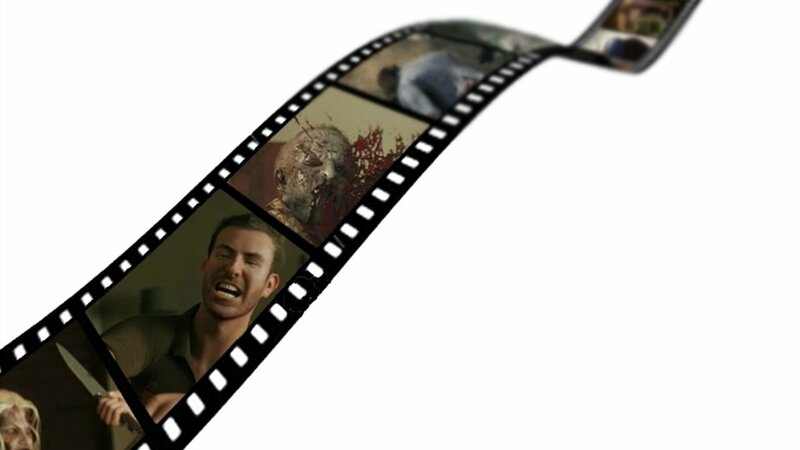 We have to keep in mind that the Dead Island trailer, if we stick to our premise, is making a promise to the viewer. It’s saying that the heart wrenching nature of the trailer will translate into the game. Will they be able to live up to this? So many gamers ask: why would Deep Silver subject viewers to this kind of emotion? Why do they want to make us sad? Why am I feeling this way? What illustrated this point for me were the videos that have been sped up, reversed and changed chronologically. Gamers want to understand the trailer and the emotion within it. There’s this scepticism that surrounds the trailer’s imagery. The image of the little girl dying is so powerful that some viewers resent being exposed to it. The video game trailer is a promise, but viewers of a more passive nature may be exposed only to the surface and will misinterpret what it is trying to achieve. A trailer has to appeal to all sides of a gamer. Since we’ve already taken a bit of an Aristotelian turn here, let’s look at the trailer’s Logos. Logos is the appeal to the reason or logic of the viewer. Let’s take a look back at a really good trailer. The Bioshock Infinite debut trailer is a short minute-and-a-half scene. The trailer focuses on the viewer’s logos. It displays the environment you will be exploring, some slight hints at game play mechanics and a little story. 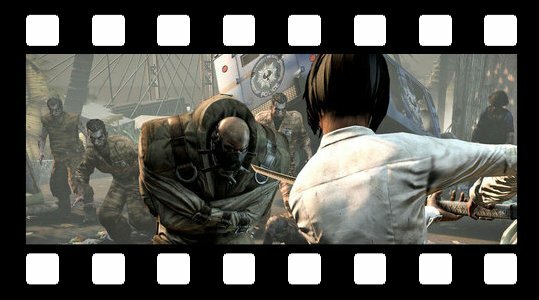 With trailers like these the subsequent gameplay trailers for Bioshock Infinite, you see that trailer directors strive for a cinematic quality. They want to present the trailer in a way that says, “You could do this in the actual game.” Key visual details, things that will make you think and imagine, these are the qualities of a good, reason-driven trailer. Why would a director choose to appeal to logos or pathos? Why not both? 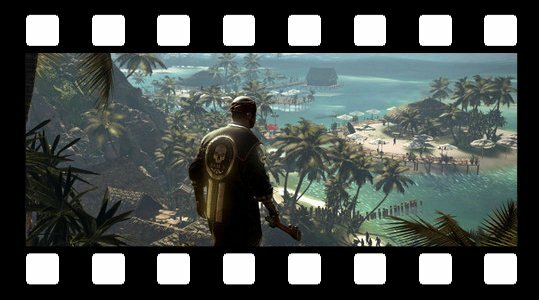 Personally, the Dead Island trailer, as a stand alone film, is beautiful. It’s heart wrenching, dramatic and visually stunning; however, there’s a pervasive opinion that the trailer promise must be achieved. This mindset, a sceptical one, is different than a critical one. A gamer can still be excited for a video game though they may be critical of what they are shown. This keeps us objective about our experience, not wanting to be drawn in by stunning visuals or hype. We have to deconstruct our experience and understand why the trailer works. The one area of scepticism that surrounds the trailer is this: it’s meant to sell you a product. The Dead Island trailer is not art for art’s sake. It is a highly emotional trailer that affects both the pathos and the logos of the viewer. However, it is still a selling point. The art of the trailer is a complex one. The most important trait a trailer requires is tact. They make a promise to the viewer. This is how the game will be, it says. If a video game doesn’t live up to that promise gamers will revolt against it. The Dead Island trailer made its debut in February and to this day it is still an emotion packed trailer. It appeals to both the logos and the pathos of the viewer, and it effectively made me want to buy the game. All aspects of video game culture have to be examined. As video games grow as an art form, we have to be critical of what we are shown and we need to develop the skills to deconstruct what we see. Was the Dead Island trailer a marketing ploy? Was it an artistic short film? Was it intentionally viral? It made me shed a few tears and that’s enough to make me want the game.